Nicole Kidman is an Australian actress, singer, model, and film producer. Nicole has won the Academy Award for Best Actress for her role of Virginia Woolf in the movie The Hours, and she is the first Australian female actress to win an Oscar. Nicole has been a Goodwill Ambassador for UNICEF since 1994 and for UNIFEM (United Nations for Development Fund for women) since 2006. She was born on June 20, 1997, in Honolulu, Hawaii, and she is a mother of four children and has a skydiving license. The estimated net worth of Nicole Kidman is around $130 Million. Nicole Kidman is among the highest paid celebrity in Hollywood. Nicole won Emmy Awards for her starring role in HBO miniseries “Big Little Lies” in 2017. Kidman has been the face of Chanel No. 5 earning $12 million for a three- minute television commercial. How come nobody can Surpass the ‘The Rock’ in terms of Highest-Paid actors? Tom Cruise and Nicole Kidman met in 1989 during one of Nicole’s audition for Days of Thunder, and the duo married shortly in 1990. They starred together in movies like Far and Away and Eyes Wide Shut. The couple adopted two children Connor and Isabella. But in February 2001, Tom however abruptly filed for divorce, citing ” irreconcilable differences”. He requested joint custody for their children. Sources say that Tom’s faith as a Scientology played a part in separating the pair but we don’t know anything for sure because none of the duos has ever commented on why did they actually break up and headed for divorce. In an interview, Nicole said“I was lucky at 22 that I met somebody who fascinated me, amazed me, who could keep me interested. I walked in [to the Days of Thunder audition] and [Tom] was the one that stood up and shook my hand. And I just remember electricity going through me.” Nicole is married to Keith Urban now. The couple met at 2005 G’Day USA gala in Los Angeles. The gala honors the Australians. Nicole Kidman said that she knew she wanted to marry Keith Urban just after a month of dating. Eventually, they got married in June 2006. Keith checked into rehab for alcohol addiction in October 2006 and during this hard time, Nicole was always with him. Later Keith admitted that this hard time in their marriage brought the duo closer. The couple has two children together Faith and Sunday. Their 10 years of happy marriage consists of them writing love letters for the other and trying not to go without seeing each other. Nicole wore a wedding gown at their wedding by Balenciaga and got married in the St. Patrick’s Church in Manly. Nicole Kidman and Tom Cruise broke up their marriage and somewhere the religion of Tom was to be blamed. Firstly, the people of the Church of Scientology encouraged Tom Cruise to cheat off his Scientologist wife Mimi Rogers with Nicole Kidman. They were divorced and Tom was already planning to marry Kidman. Nicole’s father was a psychologist and author in Sydney and in Scientology, these people are considered “Suppressive Persons” who will cause harm to the organization. Nicole was always considered as a “Potential Trouble Source” Since the Church felt that she was pulling away from Tom from the church, they decided to plant seeds to end their marriage. They did it and the beautiful couple called it quits. The two children Isabella Jane Cruise and Connor Cruise have spent their time with their father and being raised up in Church so they follow Scientology just as Tom does. 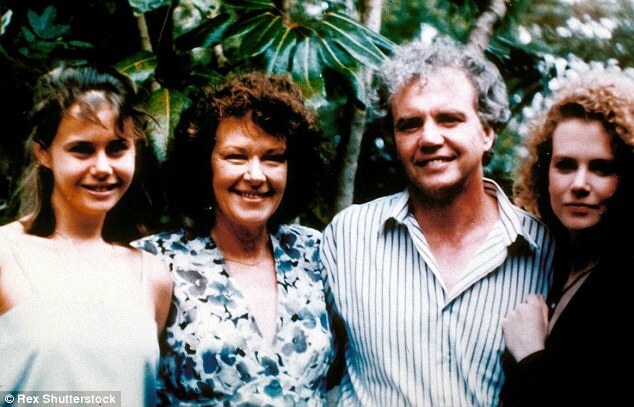 Nicole Kidman debuted in the industry with a drama remake of the Bush Christmas in 1983. Nicole looked absolutely gorgeous with curls and sweet innocent face. With the time her baby fat from face started to disappear which was considered as a sign of growing up. Later, if we look closely to her before and after pictures, we can clearly see the difference and it’s easy to make out that the Moulin Rouge singer may have gotten cheek and lip fillers. Nicole also appears to have had just the right amount of filler under her eyes. Her nose looks more refined and narrower now than it was when she was younger. Nicole admitted to having a botox but she revealed that she got rid of them. Baby fat aside, her change in shape of the face is also in question. If we look at her before and after you will see what we are talking about. Either way, she is one of the natural beauty in Hollywood. Nicole Kidman, a few years ago spoke about how she keeps her skin flawless. “I really believe in taking vitamins and supporting my skin with inside health. Besides that, I meditate and stay out of the sun. I’ll eat anything, I’m pretty normal when it comes to that, but I also like to exercise.” She employs a softer edge and neutral palette rather than heavy, dark eye makeup. Kidman moved from her natural red hair color to lighter blonde tone that gives out a natural lived in feel to it. Moulin Rouge is an American Australian jukebox musical romantic comedy movie which tells a story of a young English poet/writer who falls in love with a star of the Moulin Rouge, a cabaret actress and courtesan Satine which is portrayed by Nicole Kidman. For the role, she wore a red wig and did all the signing by herself. The movie’s setting is in the Montmartre Quarter of Paris. The movie is directed, co-produced and co-written by Baz Luhrmann. The movie was nominated for 8 Oscars. Nicole was highly appreciated for her character. Big Little Lies is an American tv drama series which is based on the novel of the same name by Liane Moriarty. The sitcom is combined of seven episodes and every episode is directed by Jean-Marc Vallée. The cast includes Nicole Kidman, Reese Witherspoon, and Shailene Woodley. The series portrays a story of three emotionally troubled woman in California who becomes embroiled in a murder investigation. The television series has critically acclaimed positive reviews by the audience as well as critics and actors. It received 16 Emmy Awards nominations and won 8 out of them. The trio of leading ladies won their Golden Globe. Nicole has finally joined the social media, she has recently won a Gloden Globe and with that, she posts her very first gram with the caption about related to the award. Within 3 hours she gained 337,000 followers and now she has 3.8 Million followers on Instagram (@nicolekidman). ‘The Goodwill Hunting’, actor Ben Affleck, famous as Batman, has undergone Plastic Surgery, of what? ?